Church leaders believe they were set up. 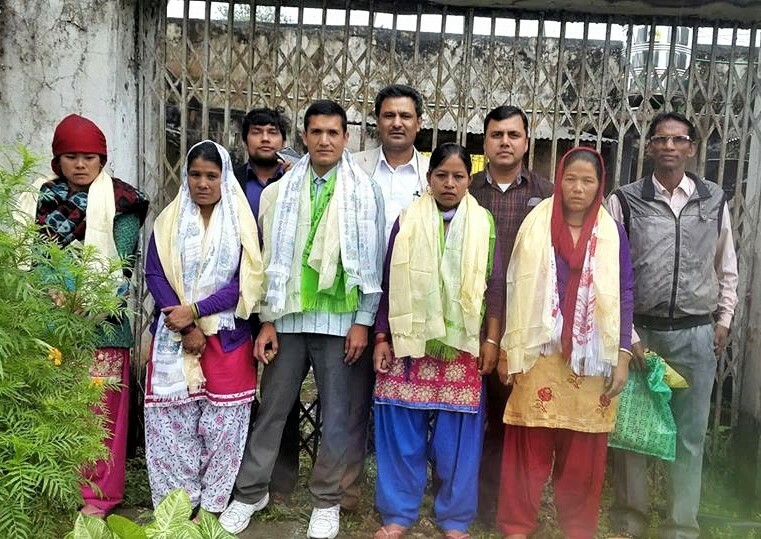 (Morning Star News) – Four Christians in Nepal sentenced to five years in prison on false charges of “witchcraft” and “violence” were released today after a high court annulled their convictions, church leaders said. Lali Pun, Bimkali Budha, Suk Lal Pariyar and Ganga Pariyar had been accused in Salyan District Court on May 19, 2016 for praying for a mentally troubled woman, Seti Pariyar, according to the Federation of National Christian Nepal (FNCN). 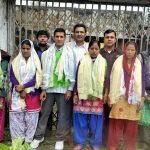 On Dec. 19, 2016 they were convicted of witchcraft, violence and holding Seti Pariyar against her will, though the woman testified that she was not mistreated or captive and had been healed by the prayer. Besides the prison sentences, the Christians had been told to pay a fine of 50,000 Nepalese rupees (US$475), an overwhelming sum in Nepal. A fifth Christian, Rupa Thapa, was arrested with them but was declared not guilty and released in 2016. FNCN representatives had petitioned for the Christians’ release, and on Sept. 10 High Court Surkhet Judges Mahesh Sharma Paudel and Krishna Thapa invalidated the Dec. 19, 2016 convictions by the Salyan District Court, Baizu said. Relatives of Seti Pariyar, said to be mentally ill, had taken her to the four Christians’ Samuel Church for healing prayer in Kubine-4, Jiamire, Salyan District, on May 19, 2016, according to the FNCN. Accusing her of witchcraft, the relatives had raked her “with stinging nettle and fed her stool” while bringing her to the church, the FNCN reported. The four Christians were not charged for months after their arrest, according to the FNCN. The umbrella body said accusers intentionally twisted the facts to fabricate a case against the four Christians, and that authorities forced them to sign a document whose contents the accused did not know. Area church leaders believe the four Christians were set up. “There is a risk that this type of well-designed plan can happen any time among the Christian community,” an earlier FNCN statement noted, concluding that the Christians were targeted for their faith. “About the incident, the victims told us face-to-face that what they have done is for the benefit of the sick woman, as she was brought by her relatives for prayer for healing,” the FNCN statement noted. Seti Pariyar’s husband also testified that she was not mistreated or held against her will. The arrest and conviction of the four Christians came at a time when Nepal’s Hindu majority was increasingly influencing authorities to harass Christians. While Nepal has long outlawed evangelization, a new constitution in 2015 and the release of implementing laws last month reinforced existing prohibitions against evangelizing, and Hindu interests have used them to falsely accuse Christians. Last year a court dropped charges against eight Christians who had been wrongly arrested for distributing Christian comic books in a Christian school. Under the implementing laws approved on Aug. 8, those convicted of converting or undermining “the religion, faith or belief that any caste, ethnic group or community has been observing since eternal times” can be sentenced to up to five years in prison. A conviction for “hurting religious sentiment” can result in up to two years in prison and a fine. 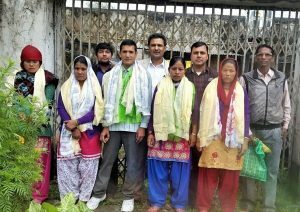 In the harassment of eight Christians last year, seven men and one woman were arrested in Charikot, Dolakha District in June 2016 as part of a crack-down on Christian activities in the fledgling democracy. They were reportedly mistreated in jail before being released on bail. Advocacy groups have recently detected increased enforcement and other anti-Christian efforts as officials seek to placate Hindus incensed that the new constitution did not re-establish a more prominent place for Hinduism. The eight Christians were acquitted on Dec. 6, 2016 after being charged with trying to convert children to Christianity. They were using the comic booklets as part of a counseling program for children traumatized by earthquakes on April 25, 2015 and May 12, 2015. The Christians were arrested after Teach Nepal, a Kathmandu-based Non-Governmental Organization (NGO), organized two trauma counseling sessions at two schools in Charikot. The earthquake trauma sessions took place at Modern Nepal School and Mount Valley Academy in Charikot, with children receiving a small gift pack that included the 23-page Christian comic book. A landlocked country between the giants of India and China, Nepal is said to be more than 75 percent Hindu and 16 percent Buddhist. Christians are estimated to make up nearly 3 percent of Nepal’s population, and Muslims 4.4 percent. In 2009, the Hindu extremist Nepal Defense Army bombed a Catholic Mass at the Assumption Church in the capital city of Kathmandu, killing two women and a schoolgirl.